Zimboinlimbo: A PS for the Flame Lily Blog post. A PS for the Flame Lily Blog post. This is the picture I was looking for. A flame lily in the Bush. You may have read my blog post about Flame Lilies a few days ago. I mentioned that I trawled through the W.W.W. 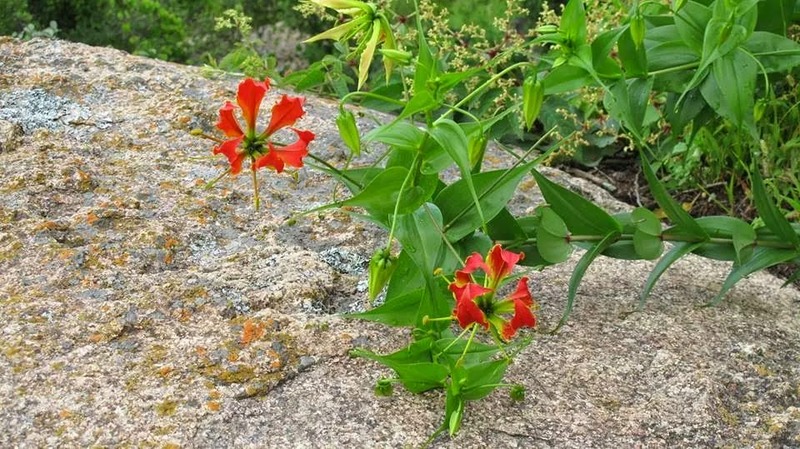 to try and find a picture of a flame lily in the bush. My lovely sis-in -law found one for me. See why I wanted one to show you? I also came across a few more Zimbabweans, who like me, were all caught up in the specialness that are our national flower, so I have a few more pictures to share. But before I do that, I received an answer to my question about anyone remembering handing over their pocket money to pay for the Princess Elizabeth’s Flame Lily broach. "You have found someone who can testify to this story! My Mom tells of giving money for that brooch - and being taken as a Girl Guide (I think) to view it before it was given to the Princess. I understood she, with others (Guides again I think) went to line the road and saw the Royals go past. 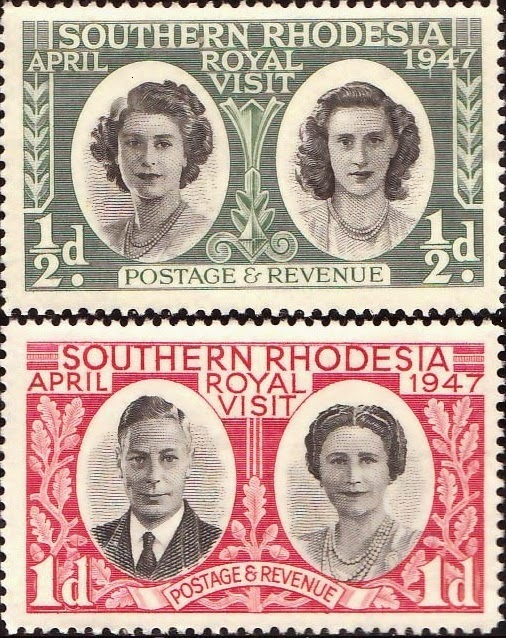 She used to often tell us about it when we were young... What is also incredible, is that when the Queen came out to open the Commonwealth Heads of Government Meeting (was if CHOGM?) in the early 1990's my mom was one of a bunch of Rotarians and their wives who were lining a red carpet in welcome somewhere like the runway at the airport. The Queen was wearing the Brooch that my mother remembered so clearly! Flame Lilies bring poignant memories to me too, my Gran had a patch of the proper wild scarlet ones that grew singly about a foot high in her garden - and towards this end of the year, we were all banned from getting too close... dogs, grandchildren, gardeners... When we lived in my Gran's old house years later, those same flame lilies still popped up and had a mind of their own as they wandered all over the place! What a great family story don't you think?I have mentioned Tracey's husband, Jerome, in a previous post about our wedding HERE. 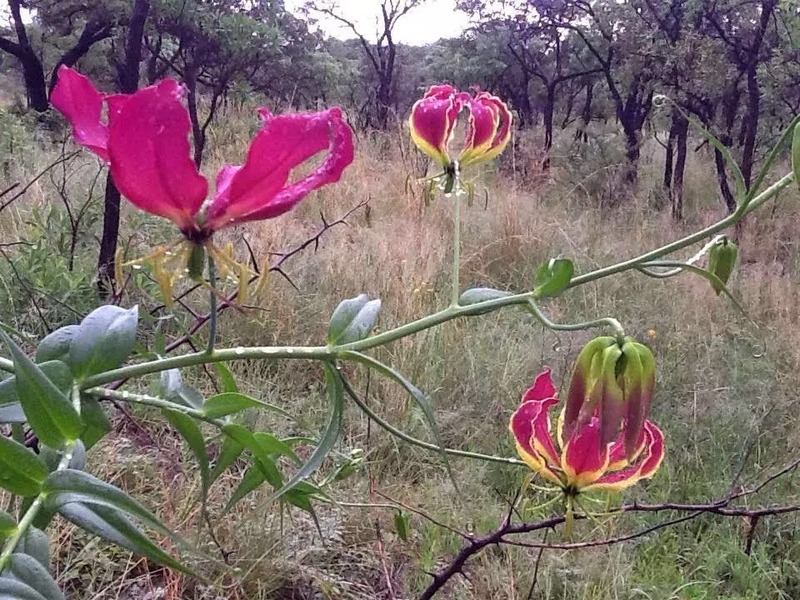 Just recently I reconnected with an old Harare Reps chum, Mike Lanchester, He had on his facebook page the following stunning pictures showing a flame lily flower from bud to wilting bloom. He has warm recollections of his late mothers visits to him and the flame lilies that he put in her room each day. So touching. This last picture in this set is a summary. Bud. Bloom.Job done. I am completely done now. My nostalgia trip was full of warm sighs. Thank you for sharing everyone.